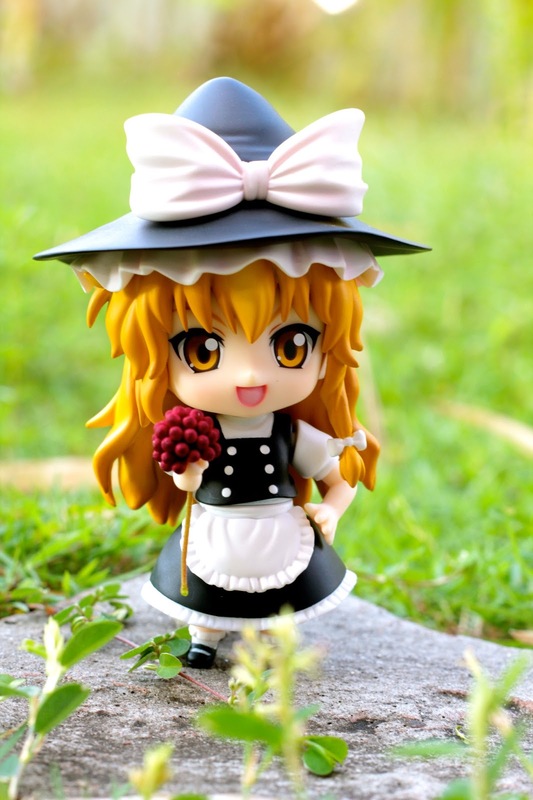 From the ‘Touhou Project’ series by the doujin circle ‘Team Shanghai Alice’, comes a Nendoroid of Reimu’s friend – the witch, Marisa Kirisame! 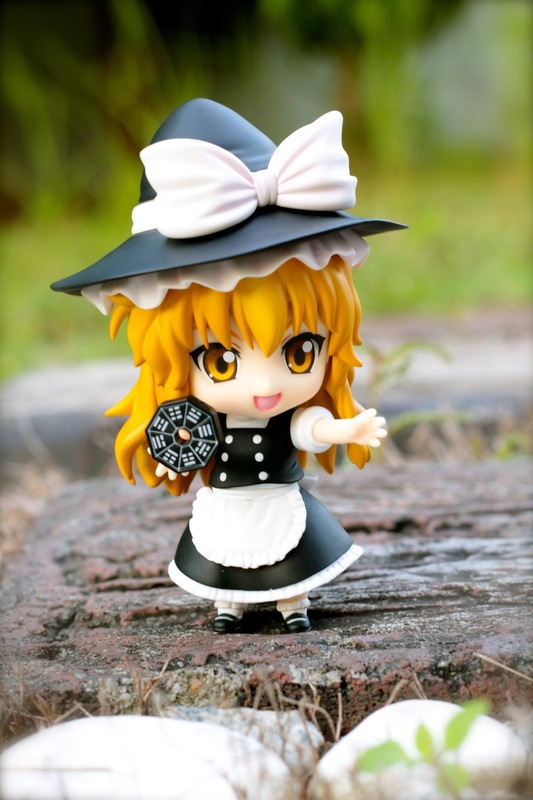 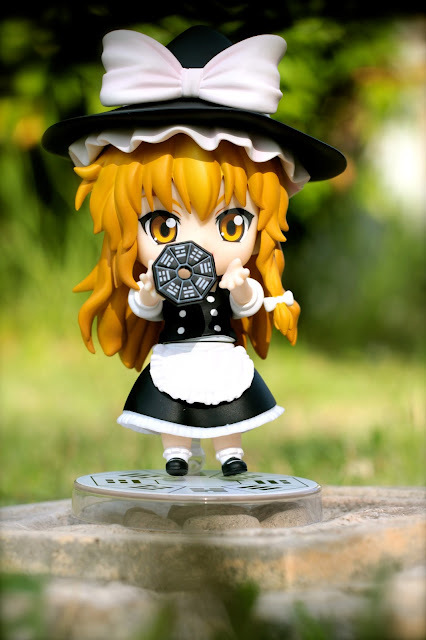 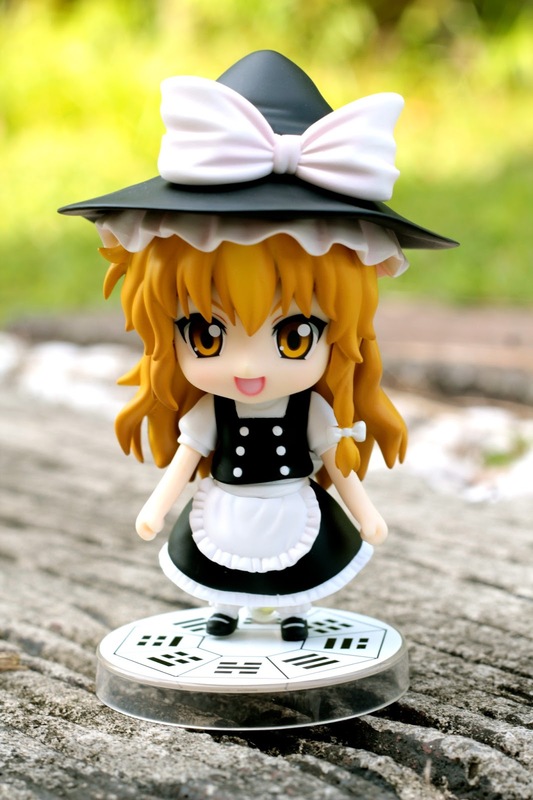 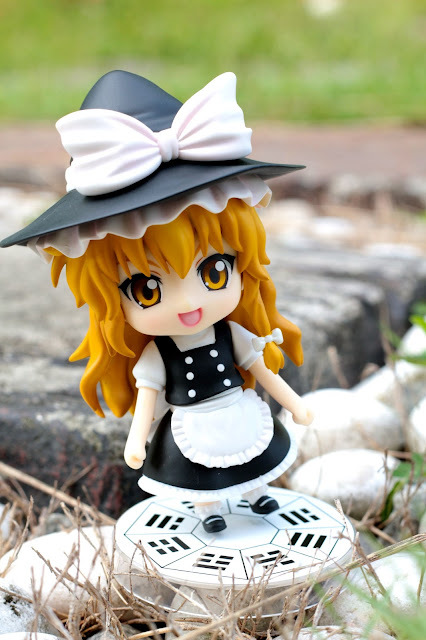 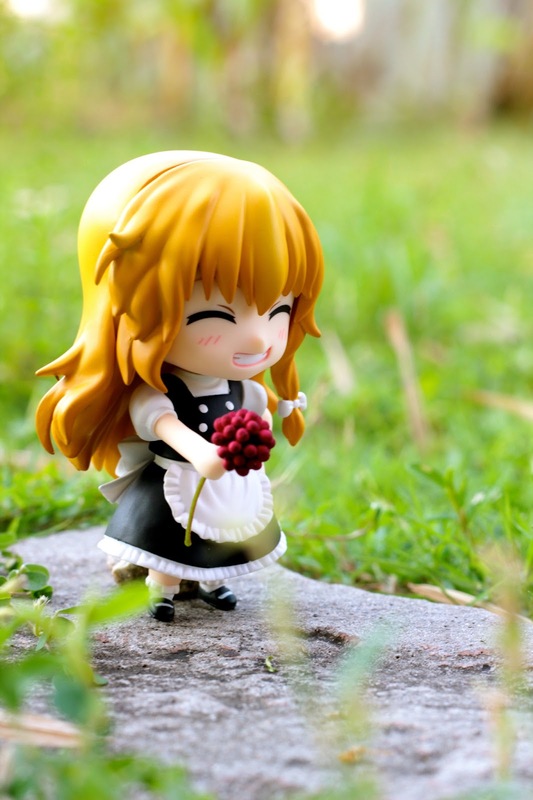 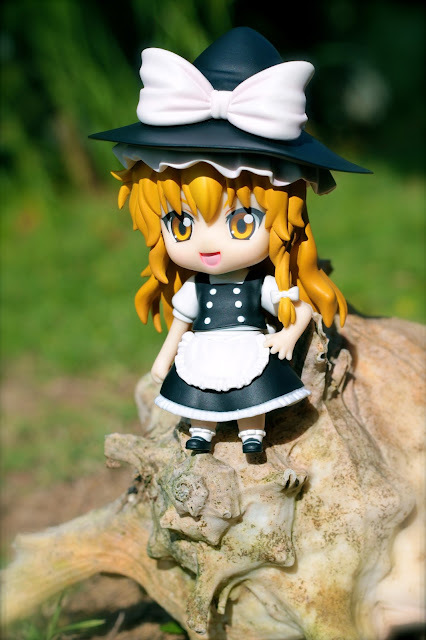 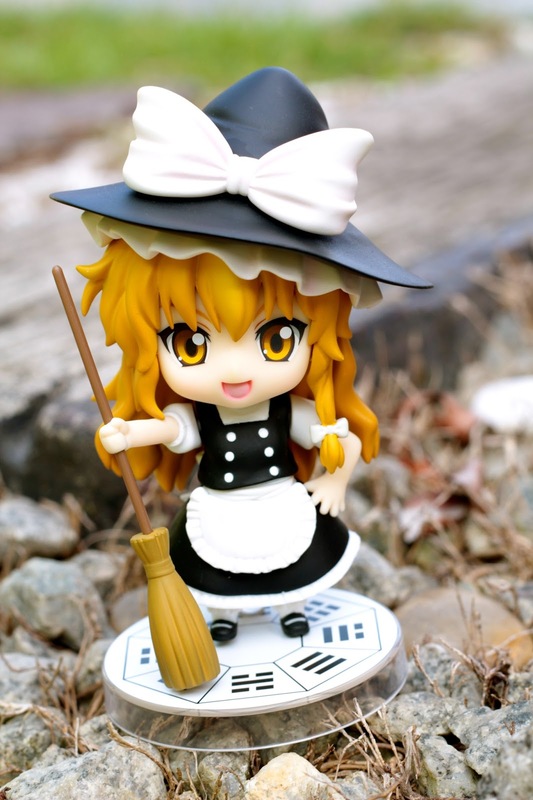 All of her prominent features, from her black pointed witch’s hat and contrasting white apron, to the broom she holds in her hands, have all been converted into her adorable Nendoroid form! 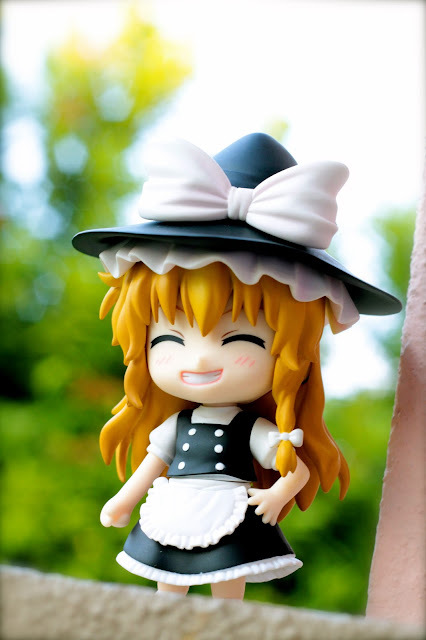 An additional smiling expression is included in addition to her normal face, and she also comes with the ‘Eight Trigrams Furnace’ so you can even recreate her preforming her signature attack, ‘Master Spark’!